Ever since it was initially announced as a project called Overstrike a couple of years ago, Insomniac Games has had my attention with its first multi-console (PlayStation 3 AND Xbox 360, for the first time ever) with the newly named Fuse. And last March, when I had a chance to go hands-on through a round with Ted Price itself, I could see the appeal of it, combining wicked weapons together to create a firework-like display of creative violence. That's really when the game is at its best, when you see the ingenuity of Ted and his team at work. Now you can see that for yourself with the finished product, though there are a few dull edges that you'll have to get past, for the most part. 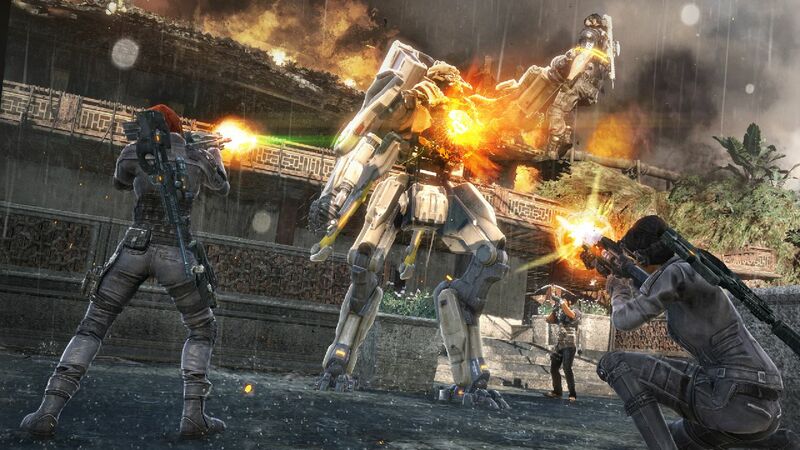 In Fuse, you portray one of four mercenaries called upon to stop a madman from using alien technology to his advantage, which has been rummaging around the Earth for some time. So how do you do this? By fighting fire with fire, actually, as each soldier carries a gun that uses Fuse-like capabilities to great effect. Our personal favorite is Naya's gun, which can generate black holes that, in turn, create chain reaction supernovas to anything near. Dalton, the leader of the group, comes in a close second with the ability to generate a Magna shield, which in turn can shoot bullets back at enemies. The team effect is what works best in Fuse's favor, as each member brings something different. Not only do their weapons make a difference, but the individuals can also use special abilities, like cloaking and building a shield transmitter to regain lost energy. But the goal is to work together, or you'll soon find three scampering soldiers on their knees, seeking a revival. And when the one left standing is battling the odds, that's not always easy to handle.